In the city of Atlanta, women are dying—at the hands of a killer who signs his work with a single, chilling act of mutilation. Leaving behind enough evidence to fuel a frenzied police hunt, this cunning madman is bringing together dozens of lives, crossing the boundaries of wealth and race. And the people who are chasing him must cross those boundaries too. Among them is Michael Ormewood, a veteran detective whose marriage is hanging by a thread—and whose arrogance and explosive temper are threatening his career. And Angie Polaski, a beautiful vice cop who was once Michael's lover before she became his enemy. Review: This is my first Karin Slaughter book and I will definitely be back for more. This was dark, gritty and not for anyone who shies away from violence. The first part of this book was fantastic-it was written from detective Michael Ormewood's point of view after a brutal murder. 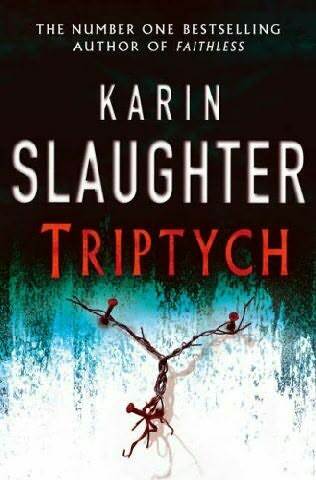 Slaughter starts to weave in news articles about the murder of a young girl several years ago and eventually the story lines merge. There is a huge plot reveal early on which killed any sort of suspense for the rest of the book, but I still enjoyed the cat and mouse for the rest of the book. I wish we have more narrative from the killer's point of view and I wasn't a huge fan of Will Trent, but overall this was a fun read.